If you like your Christmases a bit offbeat and a little less traditional, then get yourself over to the Lichfield Garrick theatre in Staffordshire during the forthcoming festive season. Fast becoming a Lichfield Christmas tradition, the award-winning New Old Friends theatre company return to the Garrick this winter with an all-new cast for more seasonal shenanigans. The new production, entitled Crimes of the Christmas Pudding, runs at the Lichfield Garrick for a whole month, opening on Wednesday 5th December this year and continuing in the intimate studio theatre until Saturday 5th January 2019. Described as a frisky festive whodunit inspired by Agatha Christie, Gosford Park, and the classic Ealing comedies, Crimes of the Christmas Pudding comes hot on the heels of previous sell-out anti-panto successes - namely Crimes Against Christmas in 2016 and Crimes On The Christmas Express last year. Female detective Artemis Arinae finds herself in the midst of a steamy seasonal crime caper set in high society. Lord and Lady Lorde's traditional family Christmas looks set to be overwhelmed by lust, greed and a very paranoid butler. Can she place the Prince's priceless possession and puzzling paramour before anyone gets stabbed in the back? A fast-paced, gag-filled, daft romp of a show, with 13 characters played by a cast of just four. What could possibly go wrong? New Old Friends, which also produced the non-festive Crimes under the Sun, is an award-winning theatre company dedicated to creating original comedy theatre. It was founded in 2008 and is run by husband and wife team Feargus Woods Dunlop and Heather Westwell. The company is to tour a new Crimes show, Crimes On The Nile, across the UK in 2019. 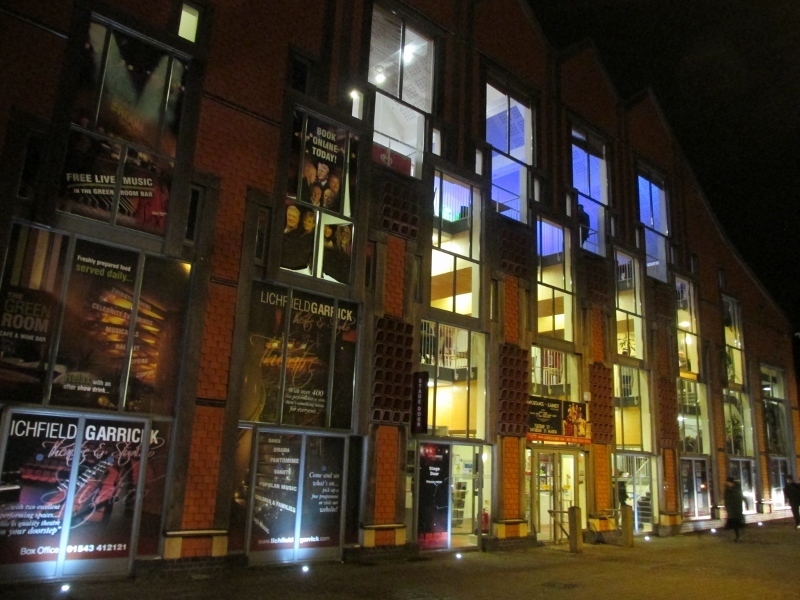 Feargus said: "We are over the moon to be returning to the Garrick for the third year, and are absolutely honoured to hear on social media that it has become part of people's festive traditions with groups re-booking year on year. This year's show is inspired by the epitome of 'cosy crime' dramas – the isolated manor house. We've had a lot of fun with it." The all-new cast for Crimes of the Christmas Pudding comprises Jill Myers, Oliver Malam, Laura Crowhurst and Steven Rostance. 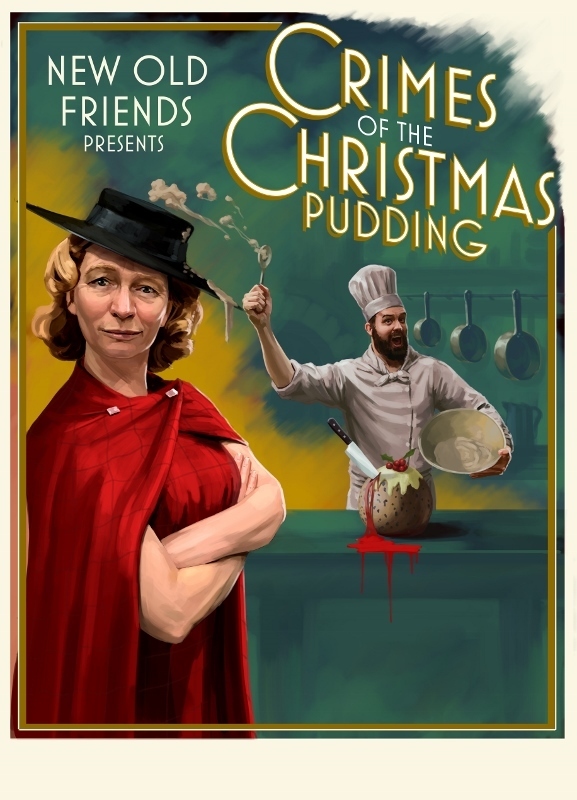 Crimes of the Christmas Pudding can be seen at the Lichfield Garrick theatre from Wednesday 5 December 2018 to Saturday 5 January 2019, although there are no performances on December 10, 17, 18 and 25, and on January 1. Tickets priced £20 and £22 are available by visiting www.lichfieldgarrick.com or by calling the Box Office on 01543 412121. The show is for ages 12 and above.